Marri Khokhran is a village of Masaajid and Mazars, It has eight Masaajid and six Mazaars (shrines). It is situated in Gujrat on bank of river Chenab near Tanda and Head Marala. Agriculture is the profession of the residents of Marri Khokhran. However many people are serving in different government departments. Khokhar, Jatt and Syed are main castes of village. 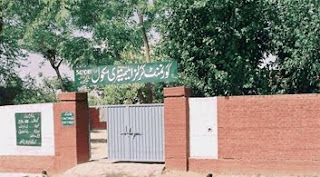 Village has a degree college “Muslim Degree College for Girls Marri Khokhran” and two government schools; one for boys and other for girls. Village has a status of Union Council.